Captain Quinn Reynolds is chief intelligence officer aboard the USS Garuda. Her long, rich history in the fleet has seen her serve on a myriad number of ships including occupying the centre chairs of both the USS Eagle and the USS Drake. A tormented Martian genius, she has been involved in a number of classified, high risk missions that led to her posting to the Menthar Corridor, an area near to Breen, Tholian and Cardassian space. Tolerant, flexible, yet socially awkward, Reynolds often spends off duty time working on a thesis or academic project, or playing the piano. She appreciates the relationship between music and mathematics and finds the logical nature of technology reassuring. In some respects, that makes life aboard a starship ideal, although she is also a gardening enthusiast and keeps a sizable garden at her home in the Columbia Hills settlement on Mars. 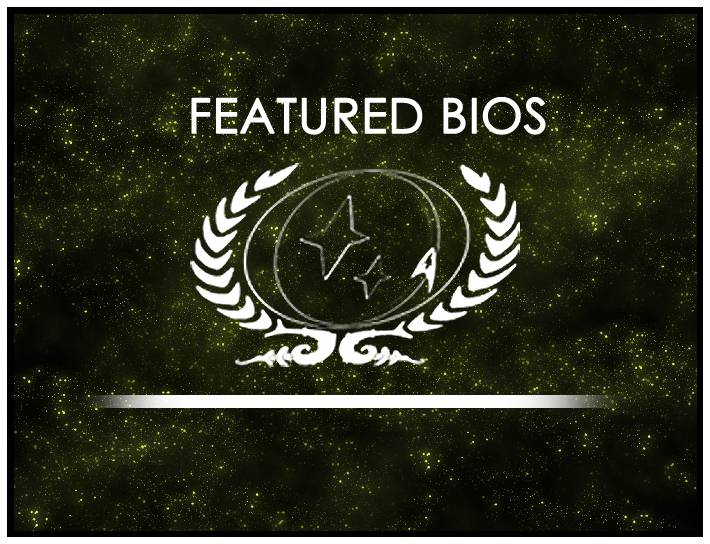 This month, our star pick bio belongs to Lieutenant Alexander Richards, so congratulations to him!! Captain Reynolds’s bio will be displayed on the wiki’s front page for the month of January. As always, you can find out more about the contest at its wiki page or in its forum. Round 5 is now open, so be sure to drop by and submit your own nominations!